Unplayable ball in the bunker: In the past, you were unable to ground your club behind the ball before swinging in the bunker. and atrocious lies such as the rare “fried egg” were disastrous. After playing golf for most of my life I have watched many people struggle to get their ball out of the sand, but now there's a solution. A new rule allows you to take a drop behind the bunker in line with the hole for a 2-stroke penalty instead of hacking around in the sand for five minutes. Time allowed for ball search: Before 2019 there was a rule allowing 5 minutes to look for a lost ball. 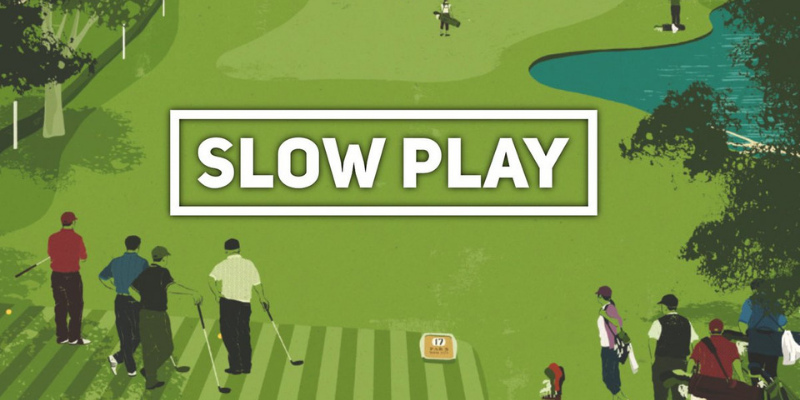 While this rule is only really enforced in tournament play, most golfers follow it. The new rule only allots 3 minutes for search, which for obvious reasons will generally help speed up play. Tee it forward: Moving up to the next tee box may be initially frowned upon but let me assure you, it's worth it. The USGA and PGA have been focused on the tee it forward program for years now to help make golf more enjoyable for all. Instead of hitting long irons in to most greens, you’re left with 8-9 irons and wedges. Instead of being forced to hit driver on most tee shots, you can take a safer and more tactical approach to the hole. Doing this will not only help your golf game, but you will also see improvements in your scoring and overall morale. See chart below for suggested yardage guidelines (provided by Golf Association of Michigan). Stroke and Distance Rule: The process of walking back to the tee after losing a ball always adds unnecessary time to your rounds. Now you can determine where the ball entered the out of bounds region and can drop your ball at the edge of the fairway at a distance no closer to the hole for a 2-stroke penalty. While entities such as the PGA tour and the NCCGA won’t be following this rule, I would strongly advise the casual golfer to utilize this if they’re looking to speed up rounds. Hopefully these new rule changes will help speed up your rounds in 2019. Check out our article on Golf's new rule changes in 2019 to see all the differences this year.